Medjugorje (which means “between the hills”), is a small mountain town located in western Bosnia and Herzegovina, in the Herzegovina region, close to the border of Croatia. Since June 24, 1981, it has become a popular religious pilgrimage due to reports of apparitions of the Blessed Virgin Mary to six local children. This is my fifth journey to this peaceful place and once again, it has left me with joy and tranquility and how the magic of nature plays such a major role in any sacred place. 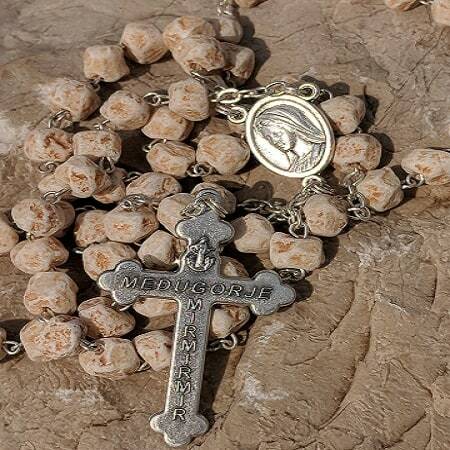 It is also no coincidence, that stones play a central role in Mejugorje. 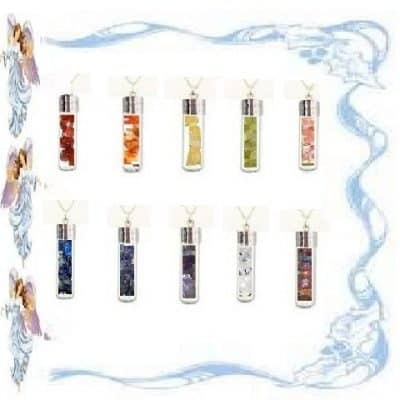 They are the main attraction on the mountain and because of this, the stones and soil of Apparition Hill are hand picked and made into beautiful rosaries, peace chaplets and decade bracelets. Real pieces of stone are available along the streets leading to the parish church. These healing tools can all be relevant in order to help one bring themselves closer to the goal of reaching heaven or a new spiritual place. Limestone: This is an assisting stone used to enhance healing properties, encourages purification, reminds us of our innocence, grounds and centers us and entices positive thoughts. Due to its grounding make-up of clay, sand, organic remains, iron oxide and other materials, many limestones exhibit different colors, especially on weathered surfaces. 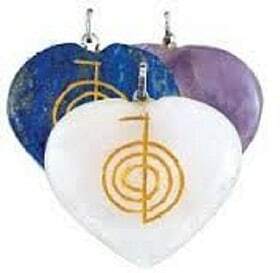 Therefore, the color of the limestone can help assist with colors of the Auric field and Chakra centers. Red and tan stones for the Base or Root Chakra, orange for the Sacral/Spleen Chakra and so on. Limestone is the root of many crystals including, agate, calcite, dolomite, lapis and Septarian, just to name a few. 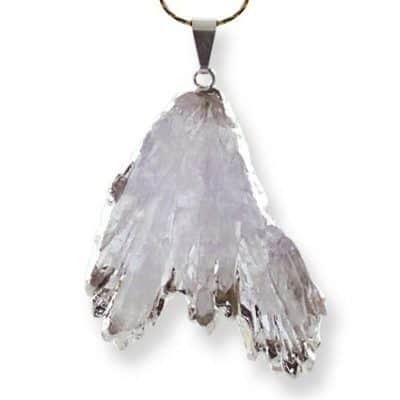 Therefore, it takes on the metaphysical properties of its additional minerals. This is why limestone is such a mult-dimensional stone. 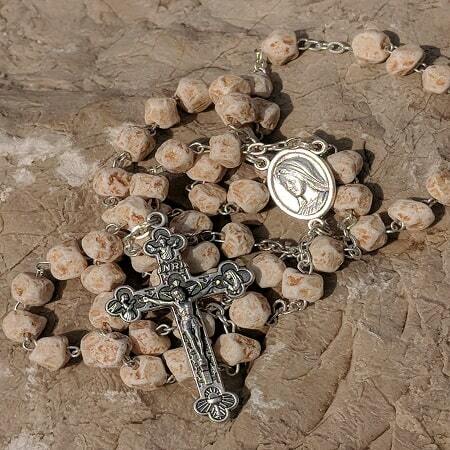 These amazing stone rosaries are hand-made from the stones of the Sacred mountain. They were blessed by the Virgin Mary in her apparition to the visionary, Ivan on August 10th, 2018 in the “blessing of the articles”. 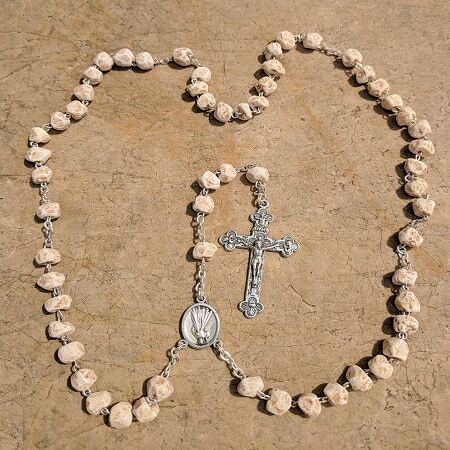 Each rosary is accented with a pewter crucifix with Christ on one side and the word Medjugorje on the back.